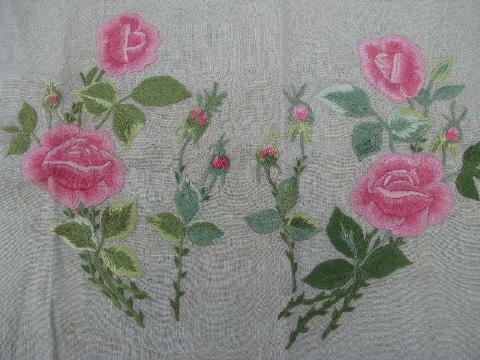 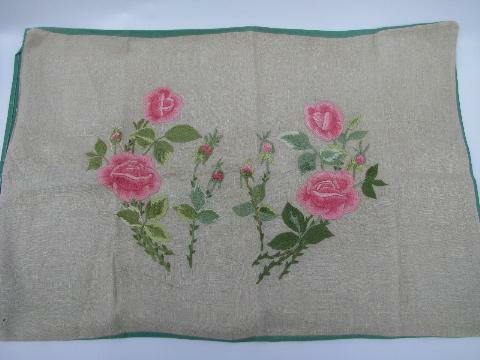 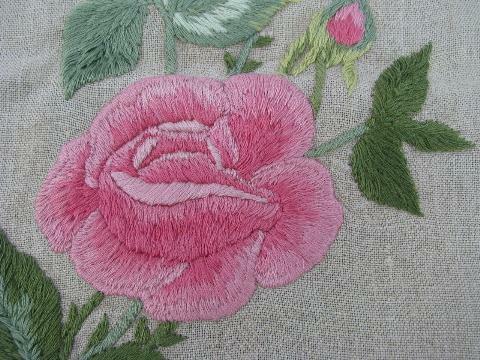 Beautiful vintage hand-embroidered pillow case for a large (bed sized) pillow, 27 1/2" x 18 1/2". 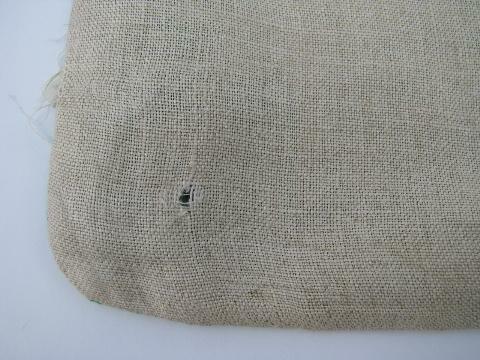 The front is natural flax colored linen, and the backing fabric is jadite green cotton. 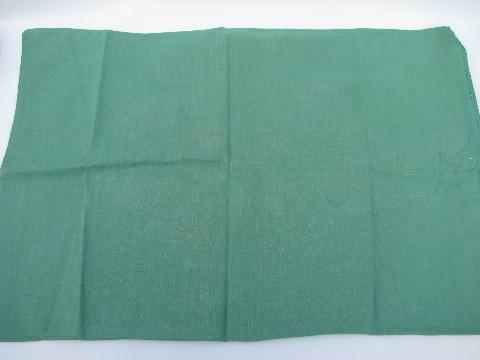 It's in excellent condition, I don't think this was ever used.